One of Tesla’s first residential Solar Roof customers has provided more details about his recently-installed solar and battery system. In a follow-up interview with E for Electric‘s Alex Guberman, Tri Huynh, the owner of the Solar Roof-equipped home, discussed the costs associated with the installation, how much power his solar shingles gather on average, the system’s maintenance, and savings that he has seen so far. 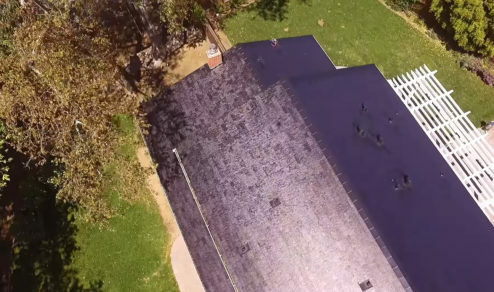 Tesla finished the installation of the Solar Roof system earlier this year, but Huynh was only able to connect it to the grid after three months due to backlogs with his area’s utility company. The system has only been powered on for half a billing cycle, and according to the Solar Roof owner, his estimated electric bill so far is around $90 from its usual $350 monthly rate. 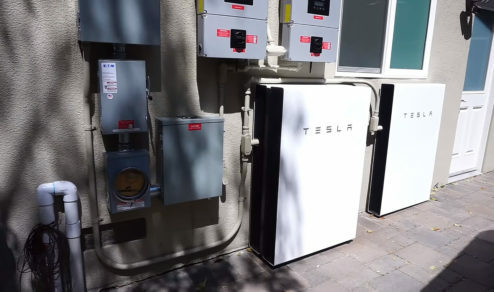 Huynh noted that the system charges two electric cars — a Chevy Bolt EV and a Tesla Model 3 — as well as air conditioning, and a dryer. Power produced by the Solar Roof tiles has been quite substantial, with the system producing up to 10 kW of power, which is enough to fully charge his Powerwall 2 batteries in several hours. Huynh noted that on an average CA day, his Solar Roof tiles produce around 7-8 kW. The lowest his system has produced to date was 3 kW, which happened during an overcast day. Overall, Huynh stated that with the system running, the Solar Roof tiles are enough to keep his home’s lights on 80% of the time without relying on the grid. The Solar Roof tiles are practically maintenance-free. 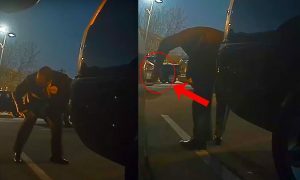 Huynh stated that when he signed the contract for the solar system, Tesla provided him with performance measurements that the Solar Roof tiles should display. 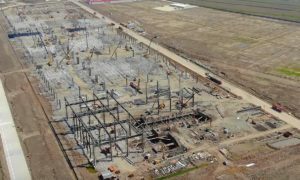 Tesla monitors the roof’s performance and degradation over time, and in the event that the system falls below its listed performance measurement, Tesla would come to the site to fix and optimize the solar shingles at no additional cost. Overall, Huynh noted that he is fully satisfied with his Solar Roof purchase. “I’m amazed at how much power the sun generates. It’s amazing. I feel like every house should have solar. I know it’s expensive, but I think we should all work towards that,” he said. 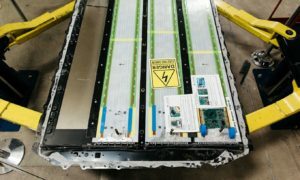 Earlier this month, CTO JB Straubel stated that Tesla is “aggressively ramping” its efforts to address the demand for the company’s residential battery and solar products. 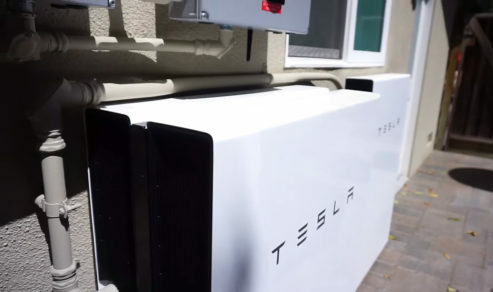 Straubel further noted that Tesla is expecting to pick up production of the Powerwall 2 home battery later this year. Production of the Solar Roof tiles is expected to accelerate in 2019. With these initiatives, the Tesla CTO expects to see reduced wait times for the company’s residential products. 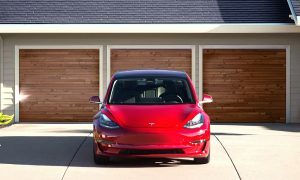 When Tesla CEO Elon Musk unveiled the Solar Roof tiles, he noted that the shingles could turn out to be a “Keeping up with the Joneses” situation. The shingles, which are specifically designed to mimic the appearance of regular roof tiles, are expected to further the company’s mission of accelerating the market towards sustainable solutions. “You want to call your neighbors over and say, ‘Check out the sweet roof.’ It’s like, not a phrase that you hear often, but that’s the key to it. 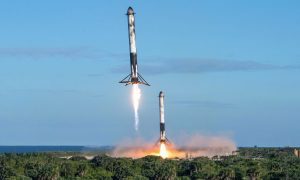 People really care about their homes; they love their homes, and they want them to be better,” Musk said. 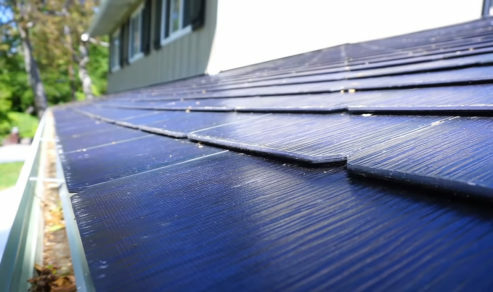 Watch E for Electric‘s follow-up interview with the Solar Roof customer in the video below.